How can I add the form to my wordpress site?? 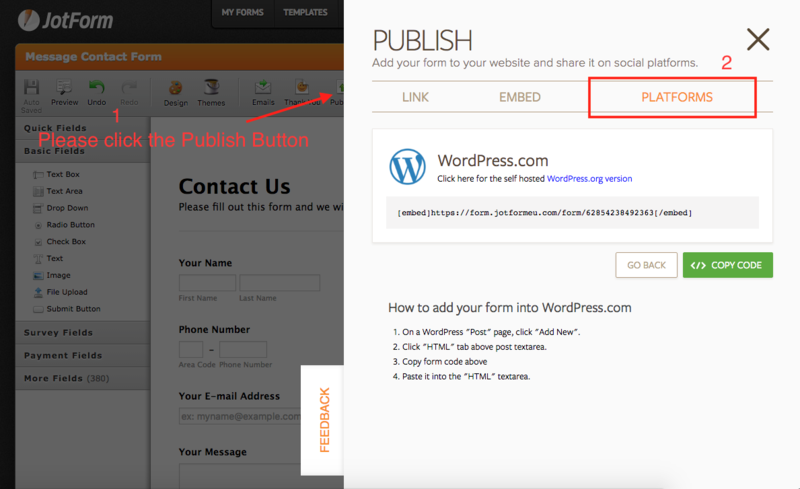 After clicked the "Publish" button, you should be chosen "Platforms" on the right pop up page and then you will see the embed code for your WordPress website. Eventually, your website will be worked with Jotform. I hope that help you will find useful. If you have responded to this thread lately, your latest response did not get through. Please use this link https://www.jotform.com/answers/958722 to reply again as needed.